Salon magazine is distributed free of charge to a limited number of salon owners in Canada. Please confirm your name and your Salon’s mailing information below.Note: publisher reserves the right to determine qualification for free subscriptions. Are you in the "Professional Beauty Business"? 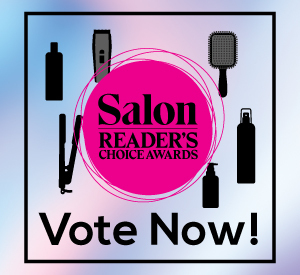 (There's no right or wrong answer - we're just trying to get some idea of how big your salon is). YES! Sign me up for Salon Magazine's free weekly e-mail newsletter. I agree to receive electronic communications from Salon Magazine & occasional promotions/special offers from its sponsors & affiliates.